In the past five years, 74 cities have voted to remove fluoride from their drinking water, despite thousands of studies showing it prevents cavities. It has been hailed by the Centers for Disease Control and Prevention as one of the top public health achievements of the 20th century. Numerous studies have proven its safety and efficacy. But fluoride — the naturally occurring compound that prevents cavities and tooth decay — is still sparking heated debates, seven decades after it was first added to America’s water supply. “Anti-fluoridationists” — a small but vocal minority — are disputing long-established science to say that fluoride added to tap water lowers IQ and causes everything from acne to anemia to Alzheimer’s. 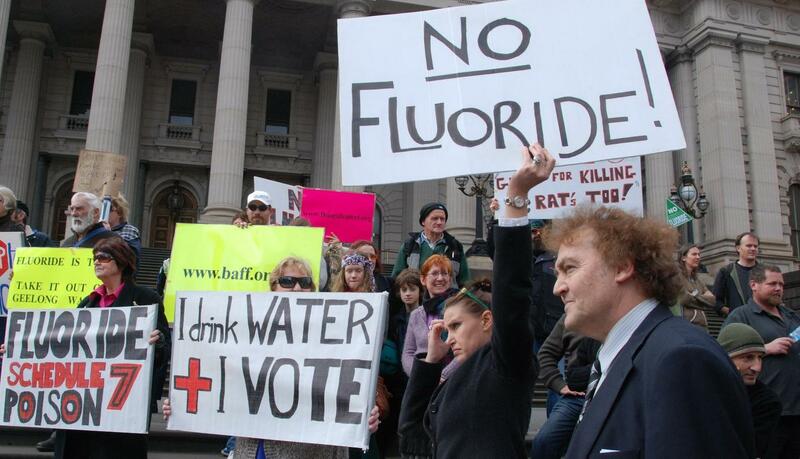 These anti-fluoride believers are active online but also at the polls: In the past five years, 74 cities have voted to remove fluoride from their drinking water, according to the American Dental Association. This year, there have been 13 votes around the country on fluoridation, and at least three more cities have fluoride referendums on the ballot in November: proposed bans in Brooksville, Florida, and Houston, Missouri, and a vote on bringing fluoridated water back in Springfield, Ohio. The frets over fluoride are reminiscent of the unfounded fear that vaccines cause autism: disproved by science, yet steadfast nonetheless. The persistence of fluoride conspiracy theories — which emerged in the 1950s with claims that fluoridation was a communist plot to dumb down Americans — is alarming public health officials, including the American Dental Association and the American Academy of Pediatrics, who say fluoride is a safe, inexpensive way to boost children’s oral health.